Tokyo, Aug 15 (IANS) Japanese Prime Minister Shinzo Abe on Tuesday sent an offering to the controversial Yasukuni Shrine here on a ceremony marking the 72nd anniversary of the country’s surrender in the Second World War. Abe sent a financial donation on behalf of the ruling Liberal Democrat Party (PLD) through an adviser, who told the local media that the prime minister was “unable to visit the shrine”, reports Efe news. The ceremony is attended by parliamentarians and ministers and honours all those who sacrificed their lives for Japan between the late 19th century and 1945, including 14 politicians and Imperial Japanese Army officers convicted as war criminals. 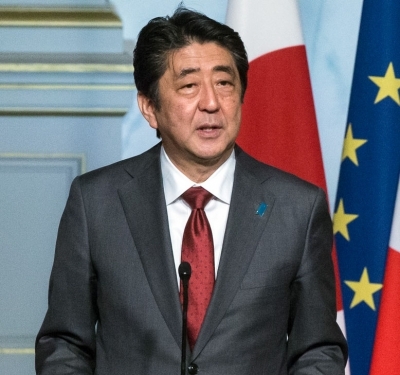 With his absence, Abe seeks to avoid sparking diplomatic tensions with Beijing and Seoul, whose leaders are preparing a trilateral summit this year in Tokyo, which will mark the first of such meeting since November 2015. The last time Abe visited the Yasukuni Shrine as head of government was in December 2013, a move that triggered strong protests from these two countries and even prompted a response from Washington, which suggested the Japanese head of government not repeat such visits. Since then, the Prime Minister has avoided going to Yasukuni Shrine himself, although he has occasionally sent offerings to the shrine, as well as for Tuesday’s 72nd anniversary of the surrender, when much of the country celebrates the Buddhist Obon festival to honour their ancestors.